Esther, from the book of Esther in the Old Testament, received a year of beauty treatments before she went in to meet the king. When I read that in my Bible reading earlier this year, I was really feeling like I could use some beauty treatments. Like a year of beauty treatments. Do you ever feel that way too? I could really benefit from six months of massages, body scrubs, and oil of myrrh treatments. Followed by another six months of “perfumes and cosmetics,” whatever that means. Probably some amazing ancient beauty secrets from Arabia. I really do wonder: what were those treatments that lasted one whole year? When I thought about it, I decided that one of the treatments had to have been a full-body sugar scrub. Which made me think of doing this very special GIVEAWAY! Because if you are like me, you could really use some pampering every once in a while. Maybe not for a whole year, but every once in a while, right? As my gift to you this holiday season, I came up with a few of my favorite things to give away to one lucky winner. 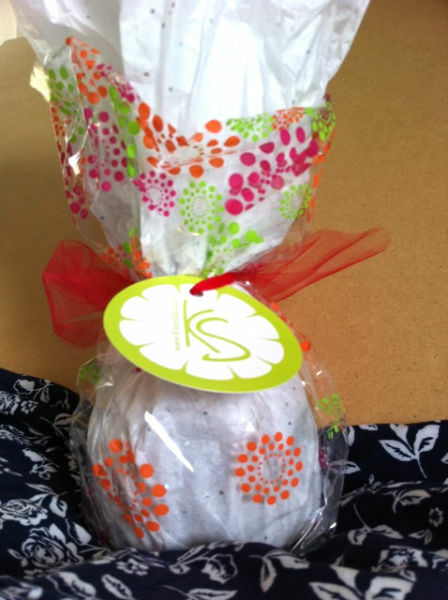 Klean Spa is a company based in Burbank that makes amazing sugar scrubs, soaps, and perfumes. Do you like vanilla scent? You have to try their Very Vanilla perfume! 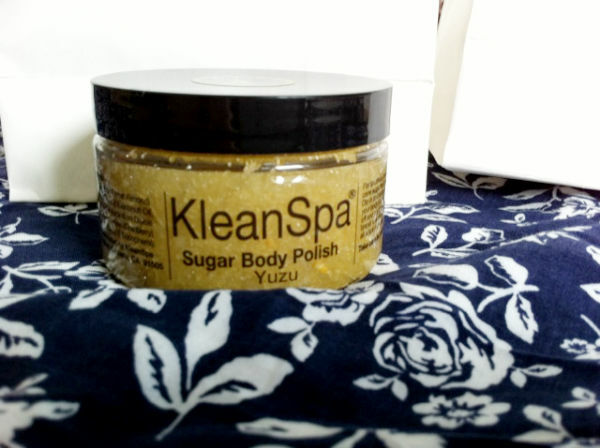 Klean Spa generously donated their Yuzu Sugar Body Polish for this giveaway. You will love it! So luxurious! Andy bought this sugar scrub for me a few years ago and I loved it. So I bought it for my mother in law for her birthday and she loved it. Then she bought it for her niece for Christmas and she loved it. It is one of those great gifts that every woman loves to receive. While I was at Mindfulnest, which is where Klean Spa is located, I shopped around while I waited for the yuzu sugar scrub to be made. (My girls got to watch her make the sugar scrub—how fun!) I found this card and I thought it was really funny. Do you know anyone you could give this card to? Next I tried to think of more fun gifts you might enjoy. I realized that I had a long list of favorite things that other women had shared with me at the two Favorite Things parties I attended a few months ago. Yes, it was really cool—I went to two Favorite Things parties back-to-back in one weekend. They were so much fun! A Favorite Things Party is when a group of ladies get together and bring four of the same item (usually worth $5 – $10) that is one of their favorite things. Each person describes her item to the group, saying why it is her favorite thing, and then sets her items on the “Shopping Table.” Soon there is a table filled with everyone’s favorite things, four of each. Then you draw numbers for the first round. When your number comes up, it is your turn to “shop” and choose one item from the table. After everyone has one item, you draw numbers again and shop for your second item. Then your third. Then your fourth. So everyone brings four favorite things and leaves with four favorite things. Specifically the pomegranate one. 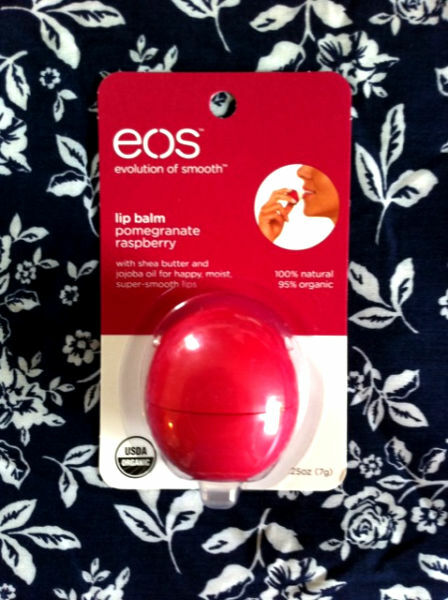 To pamper your lips. Another favorite thing from the parties was Mrs. Meyers products. 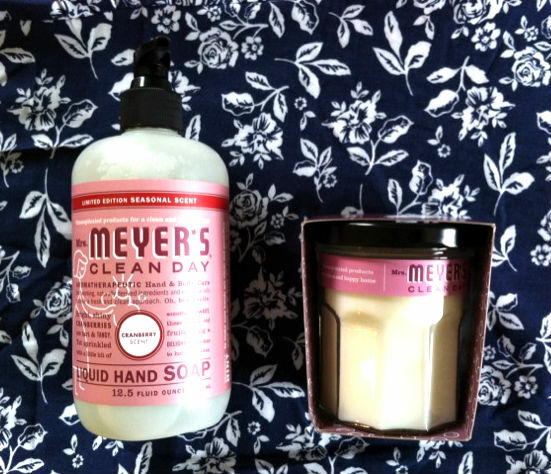 I am giving away two things because I couldn’t decide between the new cranberry scented candle or the cranberry scented hand soap. They smell so good and are perfect for the holidays! Just light the candle and cozy up with a good book (or your hubby) for a relaxing evening over the holidays! TMI warning: I recently found this Noir Tease Perfume from Victoria’s Secret while I was shopping for some new unmentionables that I desperately needed after wearing nursing bras for way too long. I loved the smell of the perfume, so I got one for you and one for me—because that’s how I usually shop during the holidays. Another one of my favorite gifts is pajamas. 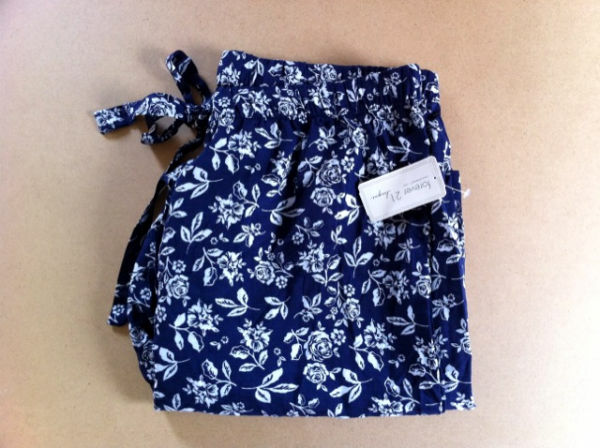 I love to receive pajamas as a gift. People can’t really shop for clothes for each other anymore unless you really know what size and style someone likes. Like maybe you could buy clothes for your sister or your best friend. But you can buy pajama pants for anyone and you don’t really have to know their exact size. My friend bought me some of the cutest pajama pants for my birthday, and I tried to find the same ones to give away, but the closest I found were these cute rose patterned ones from Forever 21. They are just a little bit sheer and totally adorable. I am so excited to announce that Esther Music Prints—my dad’s new, beautiful, handwritten music arrangements—and the famous Jones Design Company—my talented, wise, and beautiful friend Emily—have collaborated on the print of Silent Night, which is available for a limited time at jonesdesigncompany.com. 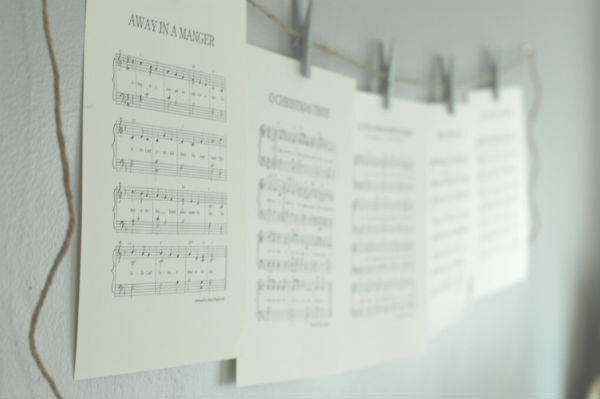 The entire set of music prints, which is available in my dad’s Etsy shop, is part of my giveaway: five beautiful prints of Christmas songs, handwritten notes on luxurious paper from Paper Source. Receive 50 % off! COUPON CODE: 50OFFDEC. You can buy the set of five, a set of three, or just one Christmas song music print here. How do I enter to win? Step 1: Please leave a comment on this post with what you really want for Christmas. Your email address will remain unpublished. Please enter right away. Contest ends Tuesday, December 3. One lucky winner will be announced on my Giveaway Page on Wednesday, December 4. Thank you so much for entering the giveaway and for helping me spread the word about my dad’s new Etsy shop Esther Music Prints! Love and hugs to you on this wonderful day. What do you really want for Christmas? Please share!